Begum Anees Khan, possess a unique gift of selecting the best people – the teaching faculty to nurture and mould the school. We have a teaching faculty of 50 teachers who are mostly trained post graduates making it the best place to work in. The Student – Teacher ratio is 40:1, with Class-I having 40:2. Class-I has an Asst. Teacher as we feel that this is the foundation for graduation and learning is reinforced. 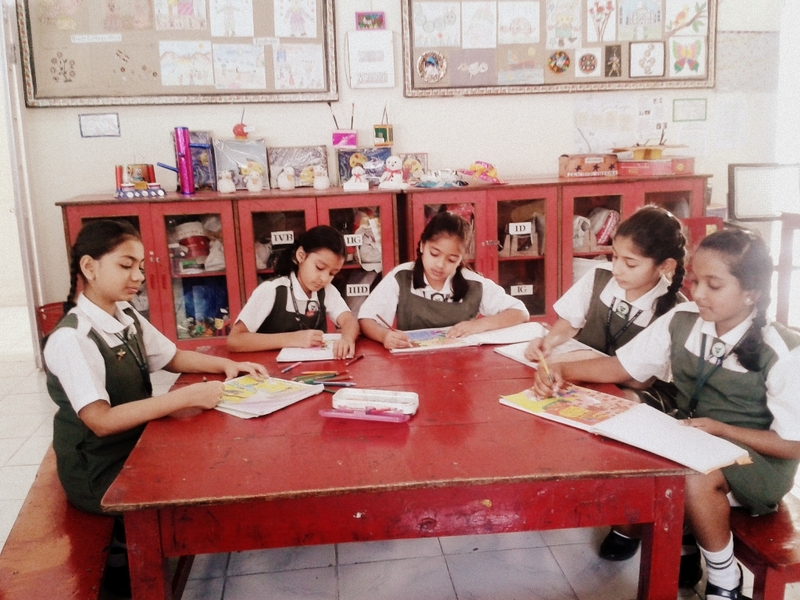 The teachers uses play way methodology, flash cards, k-yan, charts, models, role-play, field trips, dramatization and demonstration to reinforce teaching methodology. The primary also has a Nature Club, members being students of Class V who have the aptitude for a clean and green environment. They have been pioneers in using CFL bulbs in the school and enforcing ‘No Plastic’ within the school premises. Recently they went on a forest trail to Dhulapally for bird watching. They were thrilled with the experience. 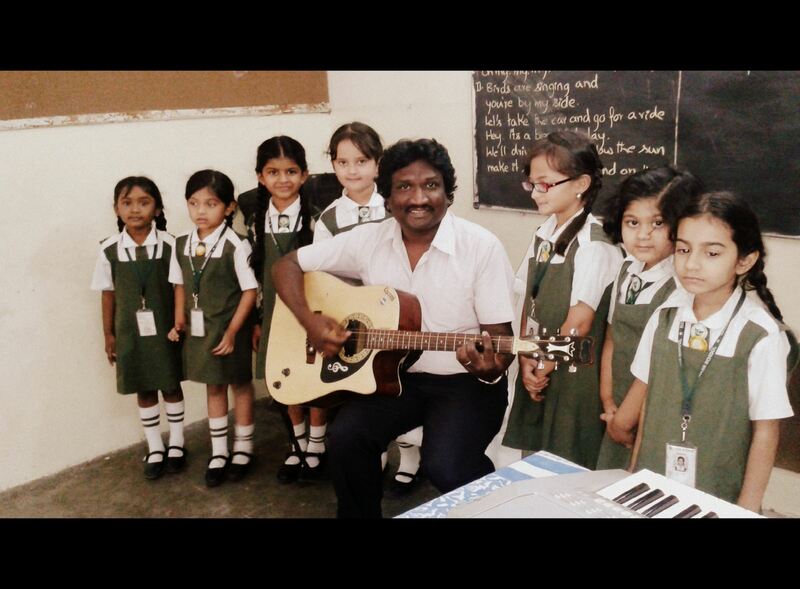 The music classes and art & craft classes are the most popular classes in the curriculum. The music teacher is a trained 8th grader in piano and guitar. Our primary section boasts of being the best choir and easily gives a tough competition for the others. We have a veteran art & craft teacher who has been with us from almost the inception of the school. The students have made some beautiful items with waste material and sold them at the ‘Best out of Waste Exhibition’ conducted by the ISC & ICSE Board. The proceeds of which were donated to the Nasr Literacy Centre. Apart from this the work done in each term is displayed on the last working day of that term “An exhibition worth visiting”. The Primary also boasts of ace swimmers who have been winning the Trophy in the ICSE / ISC Sports for the last 6 years which is a record. We also have State level tennis players and National level skaters. Not to forget the beautiful drill displays – varying from Charlie Chaplin to Korien Fan drill to the 3 in 1 drill and formations like Nasr 2013. Students are taken on field trips, every year – varying from important landmarks, parks, weaving centers, planetarium, etc. to reinforce learning. A thorough entertainment of viewing a 3-D film in the theatre is also facilitated once a term. 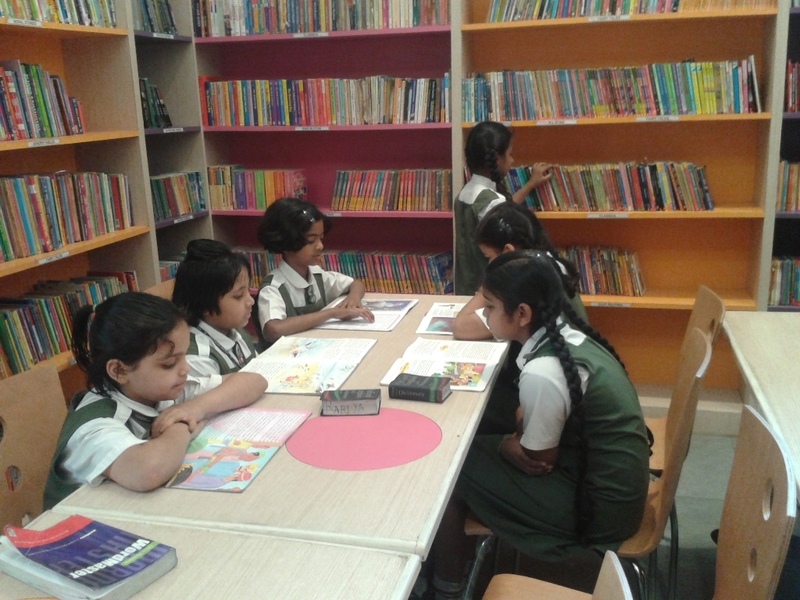 The heart of our primary section is our newly renovated air-conditioned library. This library forms an integral part of all the learning and teaching that take place at Nasr Primary. The library houses more than 10,000 books. The reference section has nearly 5,000 books on various disciplines referred to by the teachers and the students alike. There are several sets of encyclopedias and pictorial books on animals, birds, plants, human body, science experiments, inventions, geography, history, mathematics, etc. Fiction books include authors like Enid Blyton, R.L.Stine, Carolyne Keene, J.K. Rowling, Ruskin Bond, Roald Dahl, R.K. Narayan, Sir. Arthur Conn Doyle, K.A. Applegate, etc. fairytales and ladybird books for lower classes. 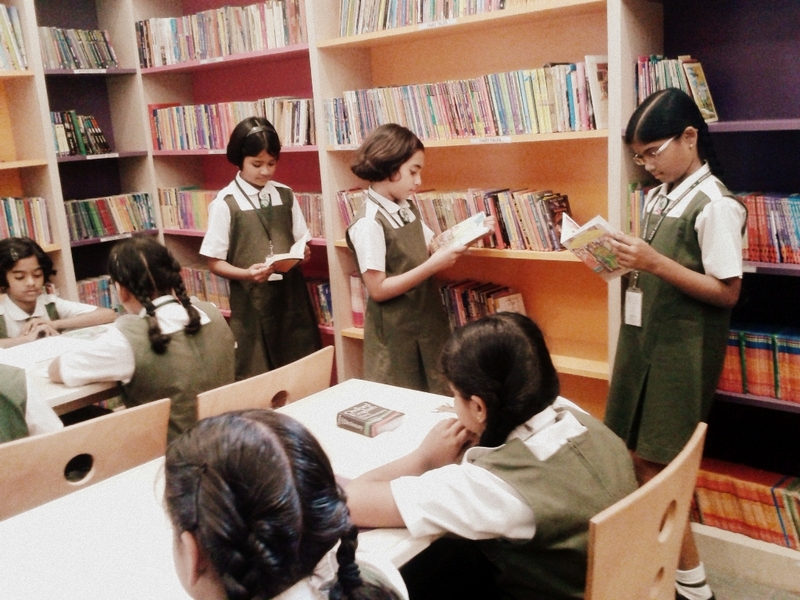 To ensure all the children acquire information literacy skills as well as a good knowledge of literature, each section from classes’ I-V is allotted a period once a week in their regular time table for the library. They are allowed to borrow books and return them the following week. The children thoroughly enjoy going to the library and are often disappointed if they miss out on their library period due to a holiday. Another student’s hub is our computer lab which is the most loved area with latest technology. There are 20 computers with no internet facility as to make the students use only MS-Office & MS-Paint for learning. 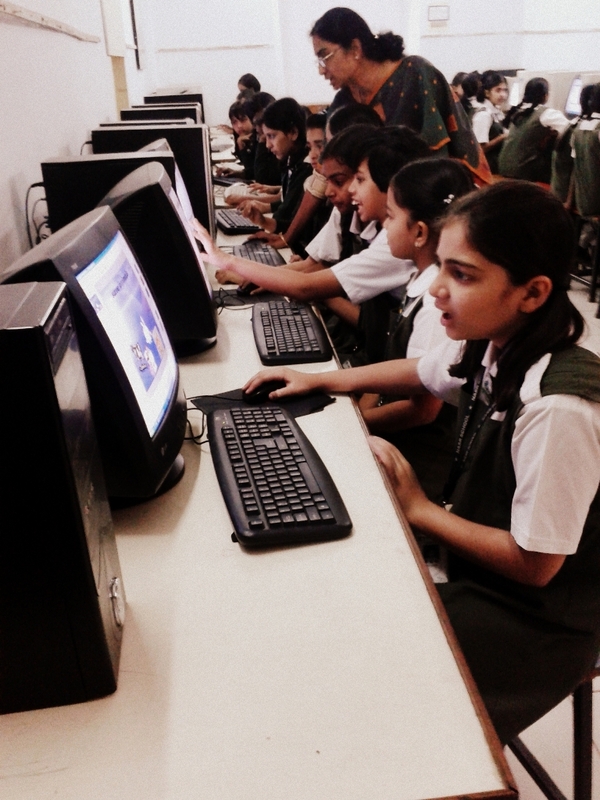 Computers are introduced at class III level. Audio Visual room is used as an important teaching aid by the teachers. Our A / V room has k-yan, screen, an television where learning is reinforced for the children and they also watch education films.